After finding that wonderful crochet book, my head was spinning with ideas and possibilities, but then a little voice inside me said, ” Not to rain on your parade, but you can’t uhm … actually crochet.” I have been so busy over the years making stuff that I have “forgotten” that I haven’t taken the time to learn to crochet. But since I now have all these ideas it was a good time to start. Ah, the wonders of the internet and bless Donna from Naztazia. 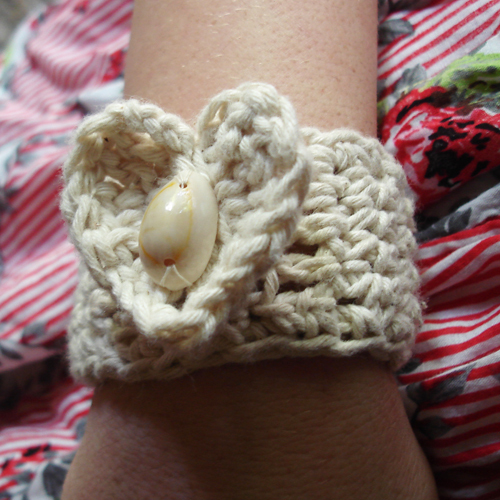 She has two wonderful videos to teach you all you need to know to start crochet. After watching the two videos, I was hooked. Luckily I already have a full set of crochet hooks, inherited from my granny and mum and yarn from my other projects so, there was nothing to stop me. I started by just freestyle crochet, choosing I yarn I liked and then see where it took me. Focusing on patterns, counting stitches and figuring out the abbreviations was just too much while I was getting into the swing of holding the yarn and mastering the basic stitches. My first piece a heart bracelet, made from cotton twine. 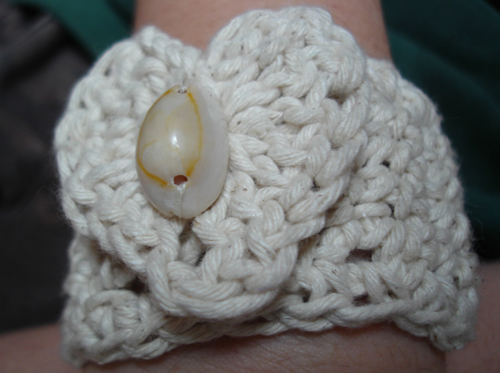 Ok, it did not start as a bracelet and the happy mistake became a button hole but it was fun. 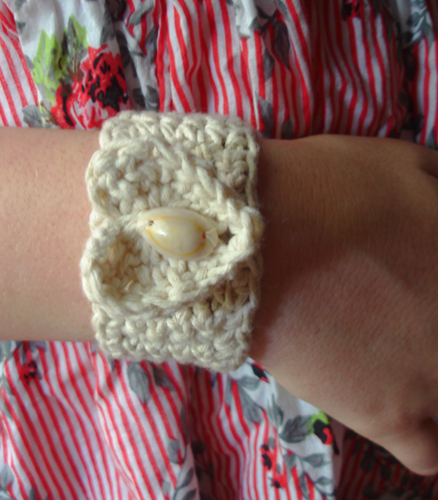 I learnt all about crochet in a straight line, the turning chain and how to hold a crochet hook. The only extra I learnt was how to crochet a simple heart from my Valentine’s Post. 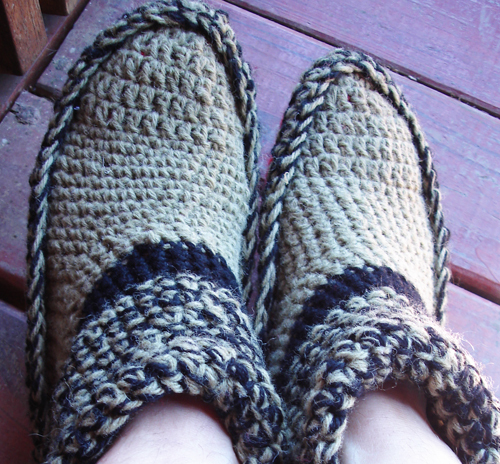 So, now I was ready to tackle a pattern and my first choice were these great Mary Jane slippers from Goodknits. 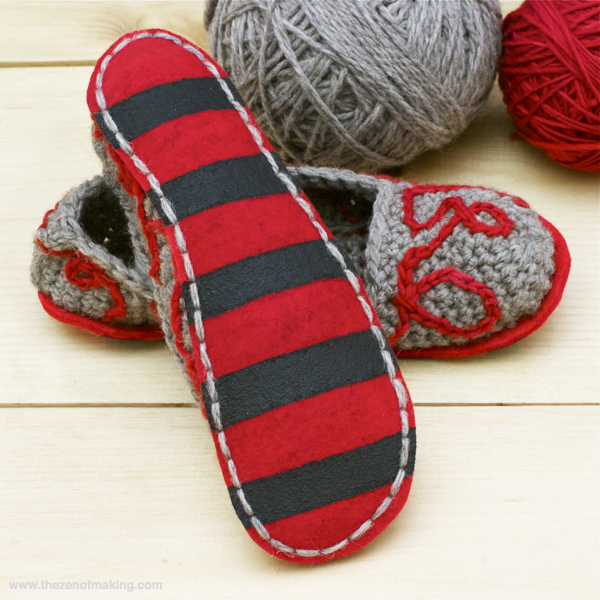 But I was so enjoying the project and curious to see what will happen if I just continued the edging that instead of Mary Jane slippers I made slipper booties. I also added a felt sole and an extra edging because I know the edges always wear out. 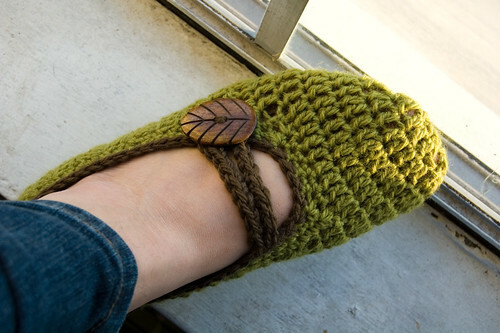 The Zen of Making has a great tutorial on adding felt soles. But the tricky part still lies ahead, reading a pattern. In my next post I will share my adventures and lessons learnt. If you have been putting off learning to crochet do it now, it is such fun.